1696 Heritage Group is a historical consulting firm dedicated to helping persons and institutions of color to increase their knowledge and access to the light of truth of their unique American heritage. 1696 Heritage Group draws on extensive knowledge and experience in ethnic American history research, interpretation, program and product development. Our team of experts has over 25 years of proven skills and the experience necessary to offer our clients a complete range of heritage interpretation development products and services from simple heritage site and program assessments, heritage interpretation training and web site design to heritage interpretation master planning, project management and turn-key exhibit development. 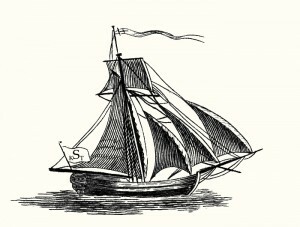 While many Euro Americans with great pride claim their American origins with the arrival of the Mayflower in 1620, our name comes from the first documented slave ship to arrive in Newport, Rhode Island in 1696, the Seaflower. As once said by the philosopher Cicero, “History is indeed the witness of the times, the light of truth.” Our work has been dedicated to helping persons and institutions of color to increase their knowledge and access to the light of truth of their unique American heritage.